In this engagement model, our engineers report on a daily basis to the customer’s site. They perform tasks according to your project manager, and work as part of your team. In this model, our engineers work as individuals or teams in our offices, but are remotely connected to your network, and thus benefit from both words: they are integral part of your project team while being part of Veriest staff at the same time. Both the customer and the engineers can thus leverage other resources and knowledge existing within Veriest’s larger team and it's easier to ramp-up or down resources to your project. In this work model, a team is assigned for your project. Such team will be uniquely assembled to deliver your project goals, according to the size and skills required. Furthermore, this team will be led by a Project Manager, who will be your primary point of contact for the project and responsible for timely delivery. In this case, the project can also be performed on Veriest’ servers & EDA systems. We use team work as a powerful tool for achieving our goals and for creating a culture of mutuality, achievements & respect. We care about our people and their well-being; We encourage good balance of work & life. We push for personal & professional growth. We invest in our customers & their success – We easily fit their teams; We take responsibilities in their projects. We are committed to the project’s goals; We make sure our experts make a difference & contribute to different project needs! Our customers trust and respect us. Our group faced new challenging projects where we needed to ramp-up new quality verification engineers in a short time. Veriest interviewed tens of candidates to screen the best team for our needs and fully trained them in SystemVerilog/UVM in a very timely and efficient way. These engineers are now an integral part of some of our most important projects. For several years, Synopsys has worked with Veriest to deliver complex verification solutions. 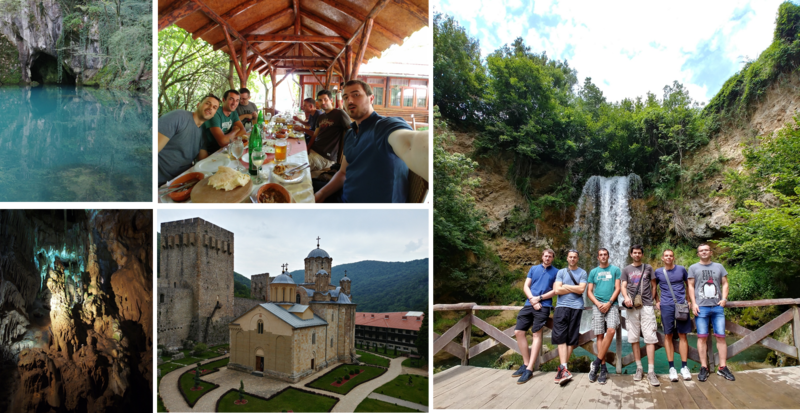 Veriest’s Israel and Serbia teams managed projects involving Synopsys’ VIP and they consistently demonstrated a high-level of verification expertize, excellent application domain knowledge of various protocols and a “can-do” customer centric approach. Group Director, Verification IP R&D, Synopsys. We, at Valens, have been enjoying the services of Veriest for few years already. Veriest has provided us with the required experience and resources allowing us to successfully complete complex designs while meeting aggressive schedules. Veriest has demonstrated excellent management skills, involvement and team responsibility. I feel very confident to handle additional projects to Veriest and to recommend their services. “We are pleased with the successful completion of this project with Veriest. The Veriest team displayed high-level professionalism in VLSI architecture, design and verification and we look forward to expanding our collaboration for future projects”. Tehuti selected Veriest as our Verification partner almost 6 years ago. We selected Veriest primarily due to their expertise in developing state of the art verification environments. Indeed, during the course of this engagement Veriest developed for us a modern verification environment that we still use today. Later, Veriest provided us with verification services for two generations of our products. I’m happy to say that the quality of the verification and the responsiveness of the team exceeded our expectations and we will continue using their services for future projects. I would strongly recommend Veriest tools and services. Inuitive has been working with Veriest for the last few years. Veriest’s team, managed by a Veriest experienced team leader, integrated seamlessly in our verification team and supported us in completing a complex verification program under very aggressive schedules. Veriest engineers have displayed great team work, accountability, rich knowledge, and quick ramp-up of our project architecture. I’m very happy to recommend their services. Veriest engineers have assisted Satixfy in the design and verification of our products. We had a very positive experience with the professionalism and commitment of this team, and we will have no hesitation to leverage their expertise in the future again. I’ve been working with Veriest engineers for over 7 years on both ASIC and FPGA projects. I find Veriest engineers’ work to be at the highest professional level, with good-quality delivery and on schedule.